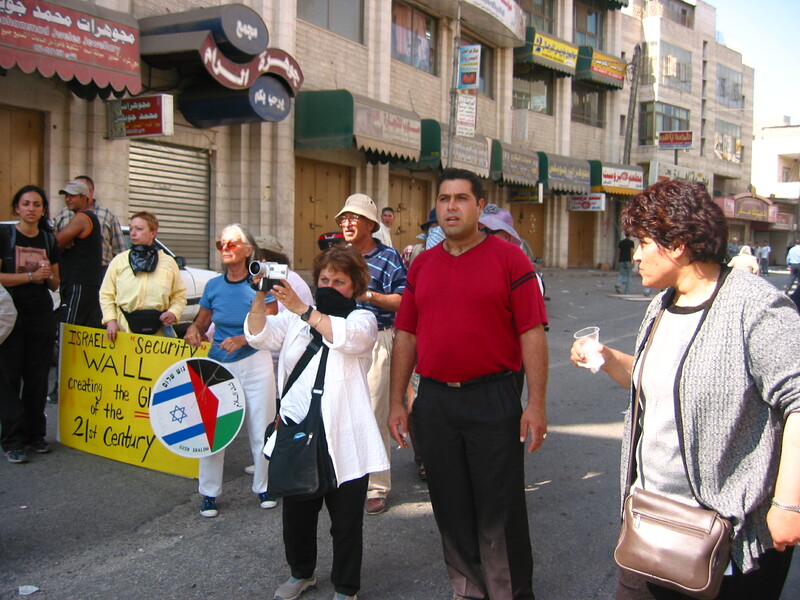 We arrived in the Occupied Palestinian city of Ramallah unfortunately minus one of our beloved group, WCA (Women of a Certain Age). Several of us were held and interrogated at the Ben Gurion airport on arrival and released after several hours. Ann P. was detained and ordered deported. With the support of the ISM legal team, she is appealing the decision and so she remains in a cell with the department of the interior. We have spoken with her and she sounds upbeat and determined to fight the order. We hope her date with a judge will be set for tomorrow and we will be in the courtroom to cheer her on. Our remaining WCA group of 13 have finished our training. We will join what we hope will be a series of major national actions throughout Palestine against the Apartheid Wall and against the Occupation this afternoon. Our training was very intense and very wonderful. We are exhilarated and from time to time exhausted. 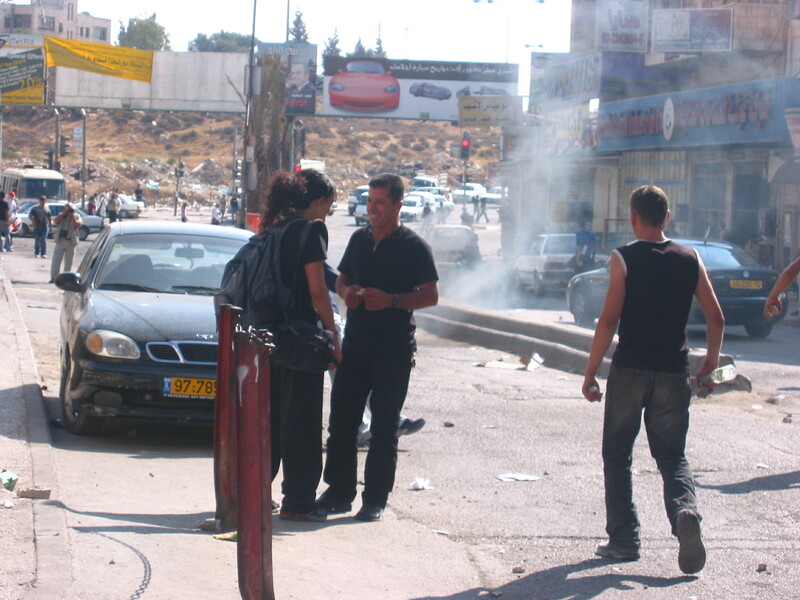 I can say now that being in Ramallah today is a shocking change from when I was here in June 2002. At that time the city was under 24 hour curfew and seemed a ghost town. The only cars in the street had been flattened by tanks. The streets were empty, there was not a face at a window, not a shop open, not a mangy dog, not a child to be seen. I thought at first that the city had been abandoned. Today this place is bustling with crowded sidewalks, car horns blaring, shops open, children, dogs, wonderful smells of shwarma and fresh coriander, all of it. 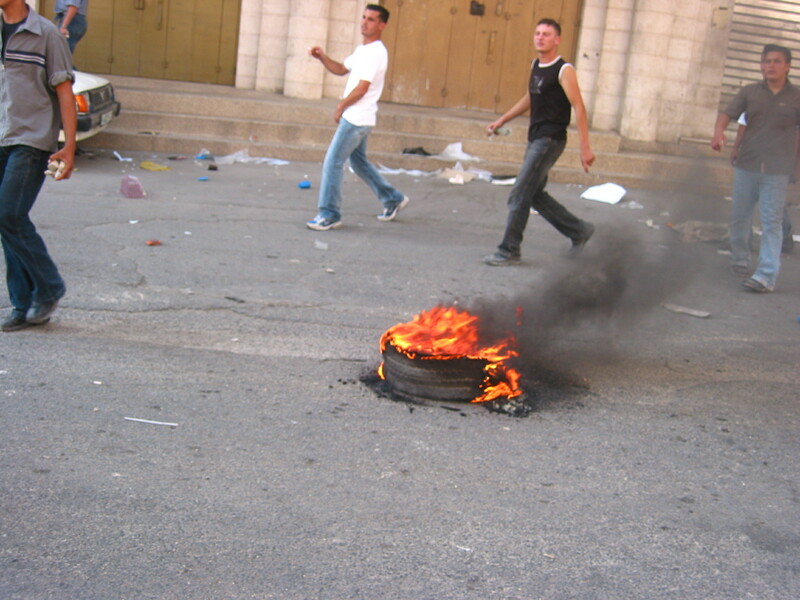 We have been told that Nablus has been under siege, people are being targeted and homes demolished. I stand in the street here and think that at any moment, the army can make a decision to close down this city and send all its people running for shelter. I’m so glad to be here, tearful as we all are some of the time, but happy to be here with Palestinians who are so welcoming, so warm, so happy to welcome our presence in solidarity with their struggle. 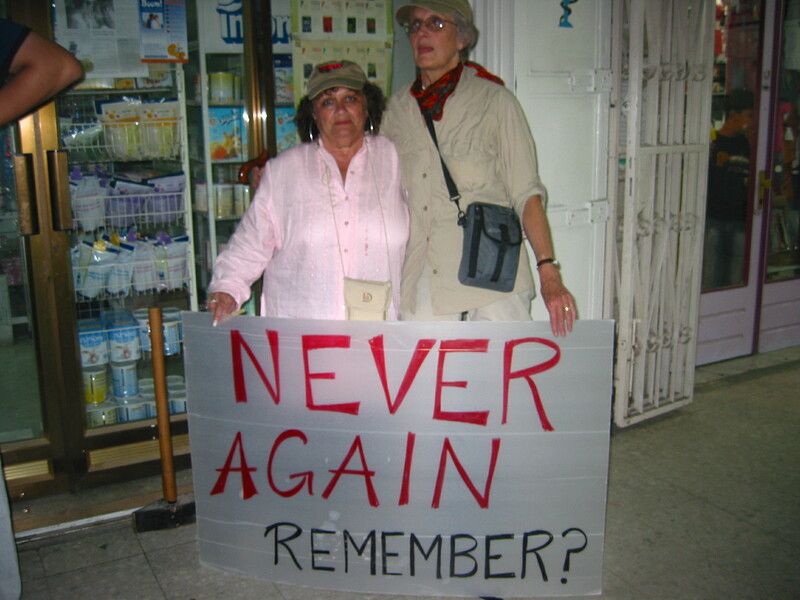 Our group of 13 women of a certain age including our 80 year old Holocaust survivor, joined an action protesting Israel’s Apartheid Wall along with thousands of Palestinians and hundreds of Israelis from Taayush and Gush Shalom and internationals. The action against the wall was part of a national day of action to mark the beginning of Freedom Summer. The lively demonstration included signs and banners in Arabic, Hebrew and English and several exuberant children’s’ marching bands with powerful drummers and wide smiles. Many of us were moved to tears, thrilled with the spectacle of this vibrant show of solidarity under the eyes (and pointed weapons) of the soldiers on the hill above us. The spirited march was interrupted minutes after it had begun when the Israeli soldiers, positioned in combat stance on the hill, together took aim and fired canisters of tear gas directly into the marchers. Three thousand people scattered but the wind blew the gas back into our faces. As we tried to retreat back up the street from which we had entered, concussion bombs were added to the gas that was continuing to hit the ground beside and ahead of us. Shopkeepers along the street opened their doors and urged us inside. We re-grouped inside a small children’s clothing and lingerie shop which was air-conditioned, to catch our breath and treat our burning skin and eyes tearing from the effect of the gas and our unspeakable anger. The little group of shops also served as a first aid triage station and a parade of wounded were brought in by young boy volunteers who continued to carry stretchers out into the smoky street and bring back those overcome by smoke and wounded by rubber bullets and canisters. From time to time we ventured out to see if we could advance towards the soldiers, displaying our privilege as internationals to try to prevent the use of live ammunition. Meanwhile, the shebab, agile and unafraid, threw stones, barricaded the street with rubble to stop oncoming military vehicles, and lit tires and pushed them with long sticks towards the soldiers. Some of the Israelis sheltering along with us blamed the shebab for the continuing military response to our demonstration. Maybe from their point of view, those brave kids throwing stones against one of the world’s military superpowers would make it hard to convince their Israeli neighbors that the attack on us was not justified. As for me, my heart lifted seeing their refusal to allow the military to imagine that they had won this battle. 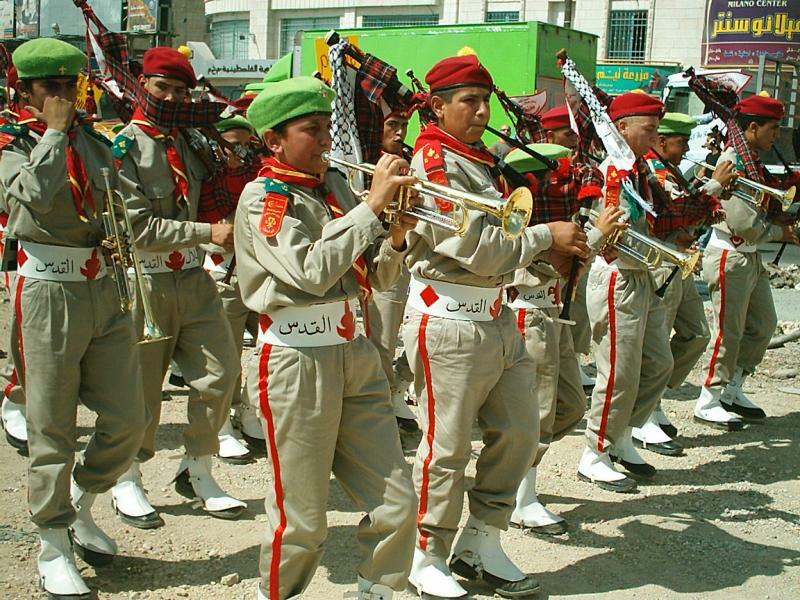 Those kids, the next generation of Palestinian resisters, will not be cowed. Maybe some will become fighters, but hopefully they have seen that their parents will continue to march and that there are people coming from around the world to stand with them in non-violent direct action. Maybe they will begin to understand that the violent reaction of the military is to the threat of what such a movement brings and shows to the world. Eventually it seemed a bit quieter outside and our whole group of 13 women wearing our terrific hats with our WCA logo marched slowly towards the soldiers. 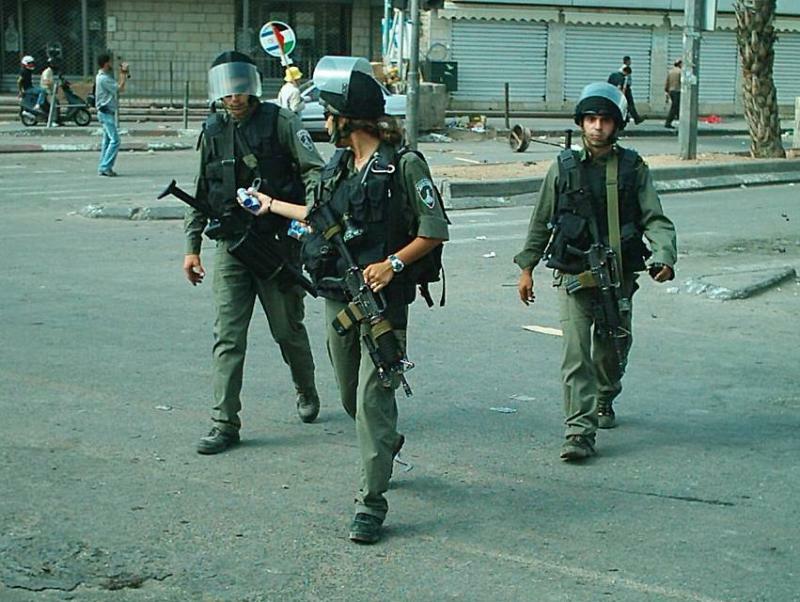 Suddenly, Special Forces units wearing plastic masks entered the street, targeting one Palestinian organizer and one reporter. 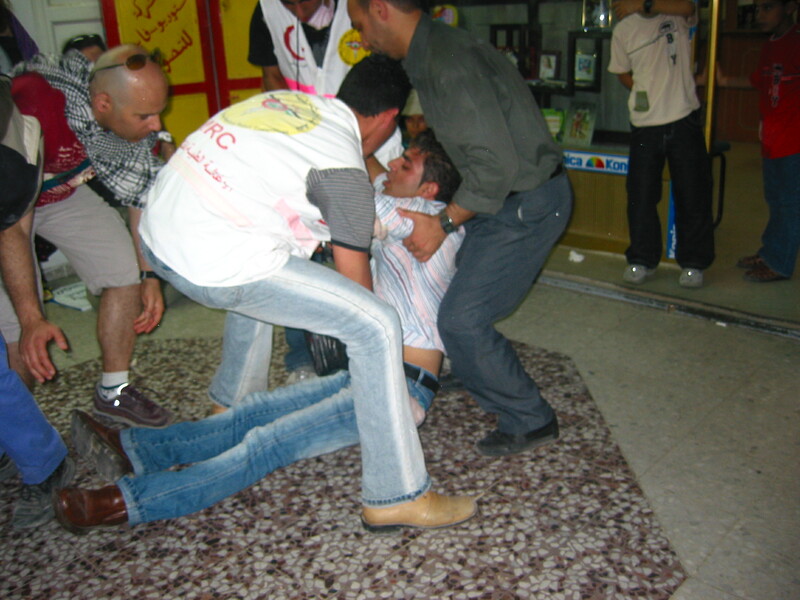 Mansour ten minutes before being beaten and arrested. While concussion grenades exploded around us, they beat these two with rifle butts, arresting the Palestinian and retreating. Almost immediately, cars began to move, shops opened, people filled the sidewalks, and you would never have known what had just taken place except for the detritus of the weapons on the street. We re-grouped from the second bunch of shops that had sheltered us and returned to Ramallah. This entry was posted in Palestine and tagged Apartheid Wall, Freedom Summer 2004, Gail, Gush Shalom, International Solidarity Movement, Ramallah, Taayush. Bookmark the permalink.